The Montclair Art Museum’s exhibition Matisse and American Art (on view through June 18, 2017) examines Henri Matisse’s profound impact on American modern art from 1907 to the present. The exhibition juxtaposes 19 works by Matisse with 44 works by American artists including Robert Motherwell , Max Weber, Alfred Maurer, Maurice Prendergast, Stuart Davis, Richard Diebenkorn, Ellsworth Kelly, Roy Lichtenstein, Andy Warhol, Romare Bearden, John Baldessari, Sophie Matisse, Faith Ringgold, and Helen Frankenthaler. 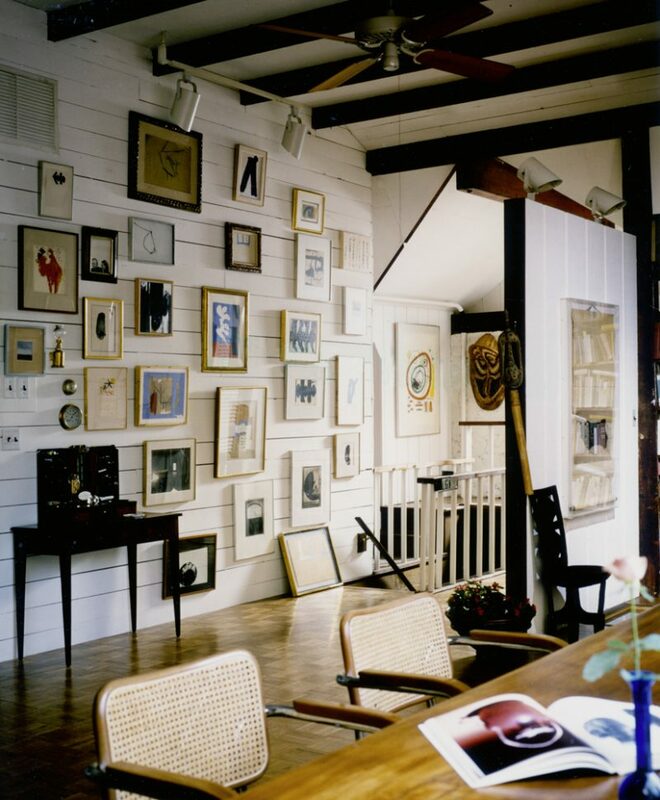 Motherwell first encountered Matisse’s paintings in the fall of 1935 at the home of Michael and Sarah Stein. He later recalled that the works he saw there, “[w]ent through my heart like a golden arrow and I had one real intuition immediately. I thought this is what I want to belong to.” That initial response carried through Motherwell’s life, influencing his works across media but especially in his collages. 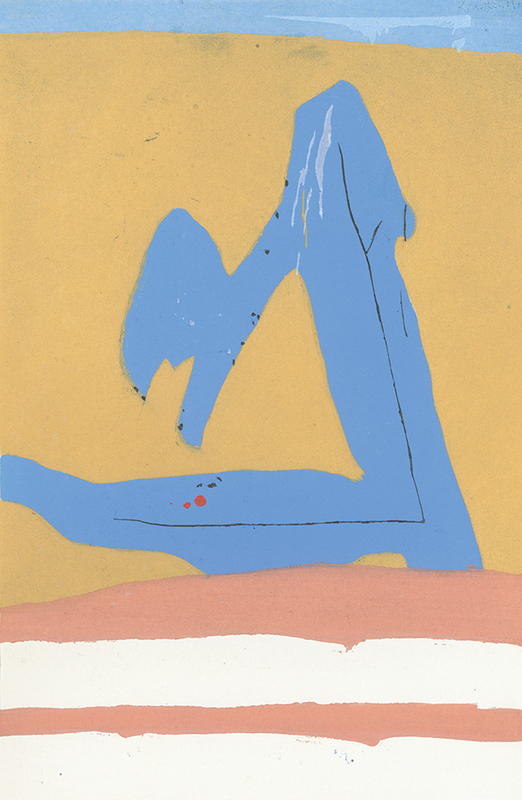 For the last two decades of his life, Motherwell had a Matisse cutout, La Danseuse, hanging in his home. The wall of Motherwell’s living quarters in June 1983. Matisse’s “La Danseuse,” ca. 1949 can be seen at the center surrounded by Motherwell’s own works. 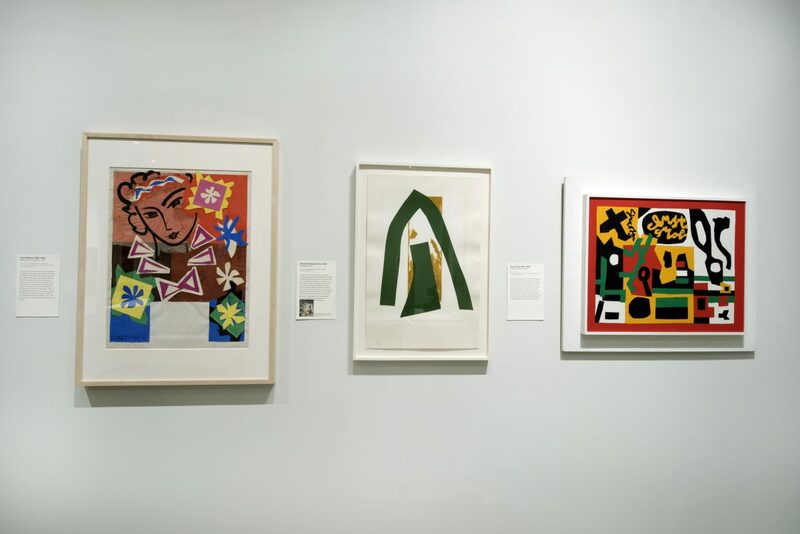 Matisse and American Art includes Motherwell’s 1977 collage Cathedral II. 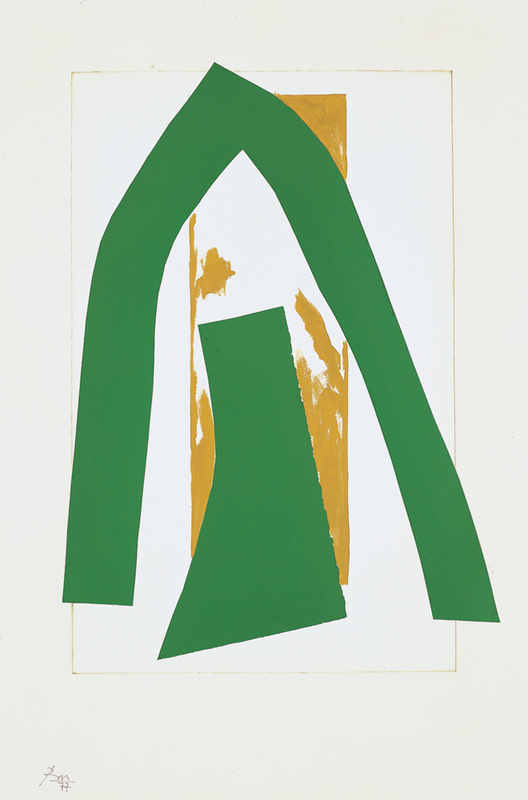 The work reflects Motherwell’s familiarity with Matisse’s method of collage, especially the act of cutting and arranging which added a physicality to the to the composition. Robert Motherwell, “Cathedral II,” 1977. Acrylic, pasted papers, and graphite on paper, 30 x 20 in. © Dedalus Foundation, Inc./Licensed by VAGA. New York, NY. Pierre Chareau: Modern Architecture and Design was on view at the Jewish Museum until March 26, 2017. French architect and interior designer Pierre Chareau spent the final years of his life in exile and relative obscurity in New York. 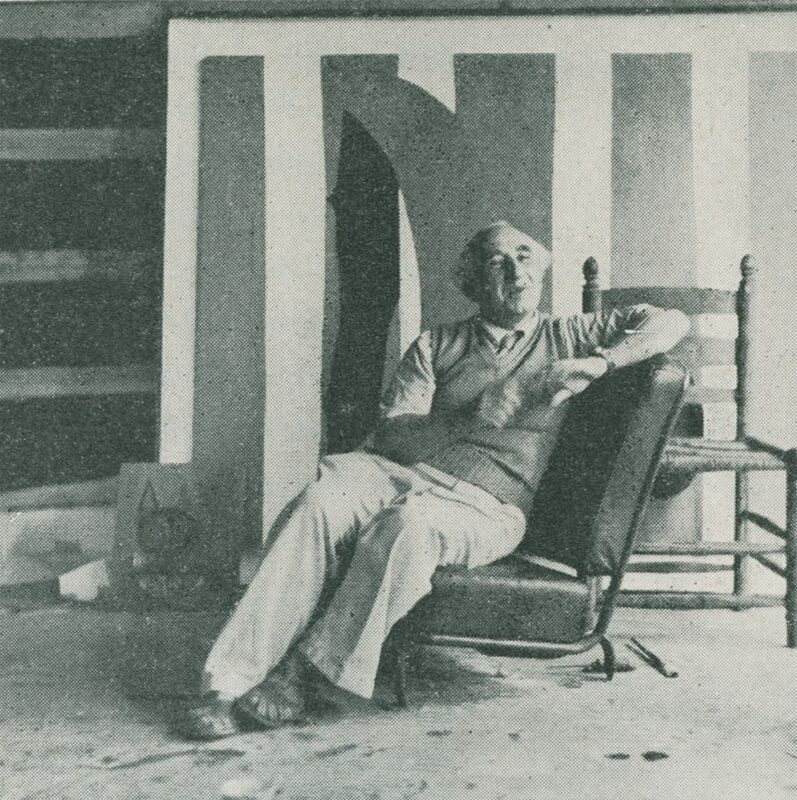 Despite being a member of the prestigious Société des Artistes Décorateurs (an extraordinarily talented group of artists who specialized in creating unified interiors) in France, traces of his final years spent in America are limited and his American designs have received relatively little attention. 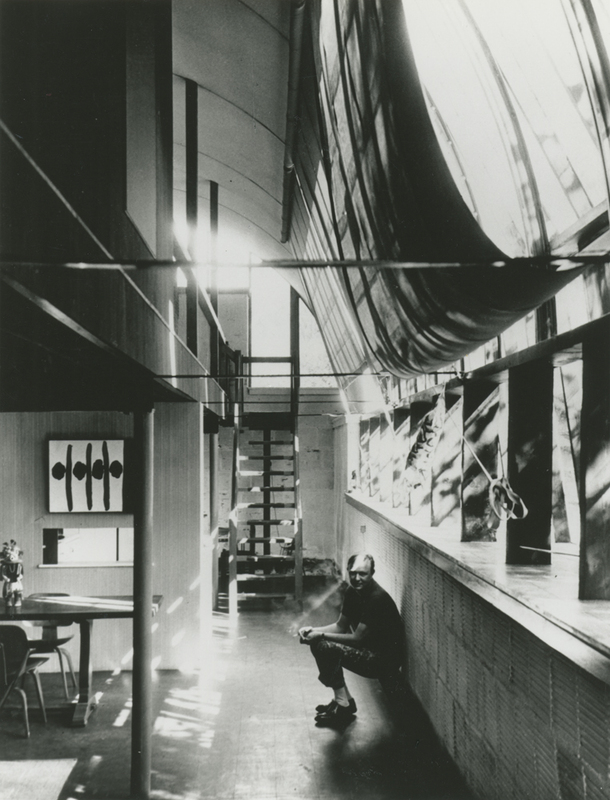 He designed two built works in the United States: La Colline in Spring Valley, New York for the pianist Germaine Monteux and the writer Nancy Laughlin in 1950; and Robert Motherwell’s East Hampton studio and home in 1947. Interior of the East Hampton Quonset hut. Motherwell was introduced to Chareau and his wife Dollie by Anaïs Nin in the summer of 1944. 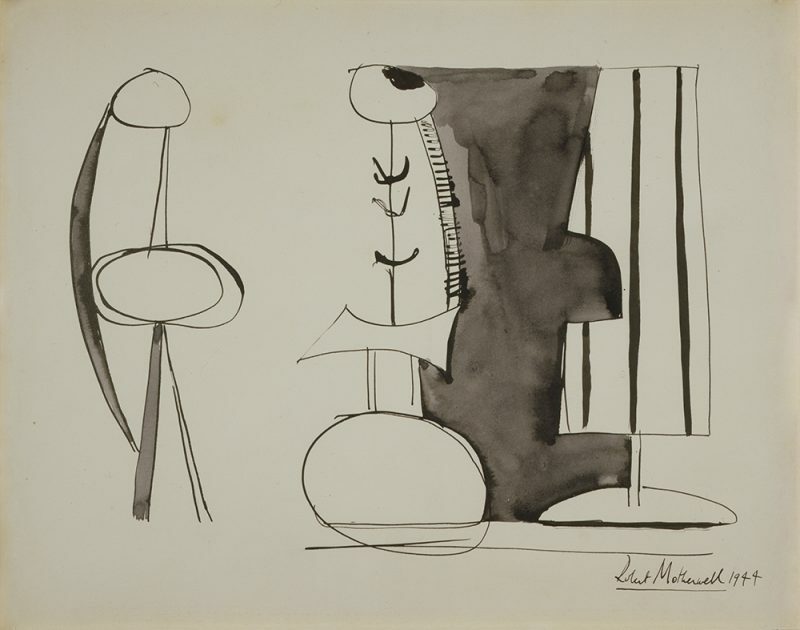 Motherwell connected with Chareau in part because he believed that they both worked using “the collage principle, inspired by materials,” in their respective fields. 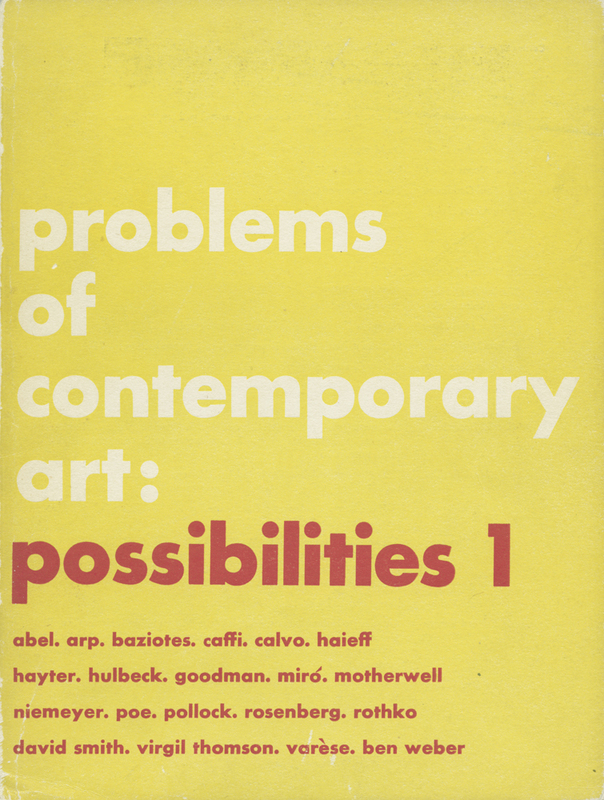 In 1946 Motherwell asked Chareau to serve as the architecture editor for his review Possibilities, which he coedited with the critic Harold Rosenberg and the composer John Cage. 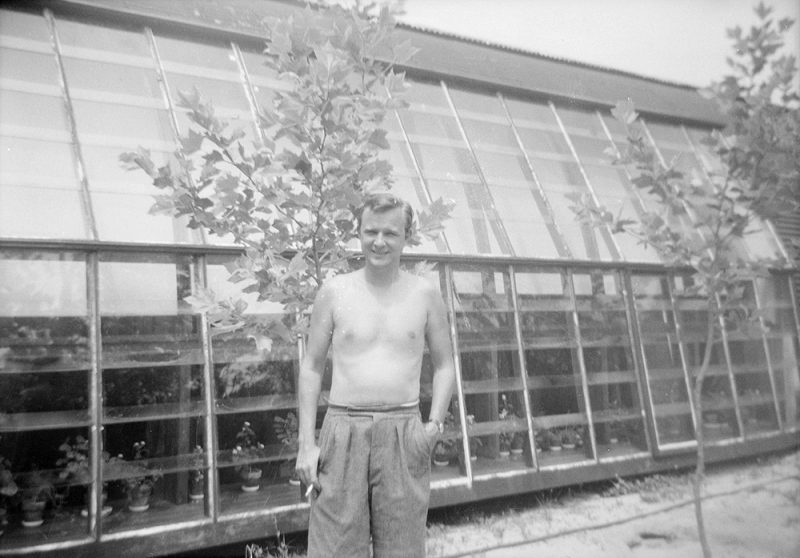 In 1947, Motherwell asked Chareau to design a house and studio on his two-acre property in East Hampton. For his fee, Chareau received a small piece of the Motherwell property on which he built a cottage that followed the so-called “primitive hut” concept later used by the French architect Corbusier in his Petit Cabanon. 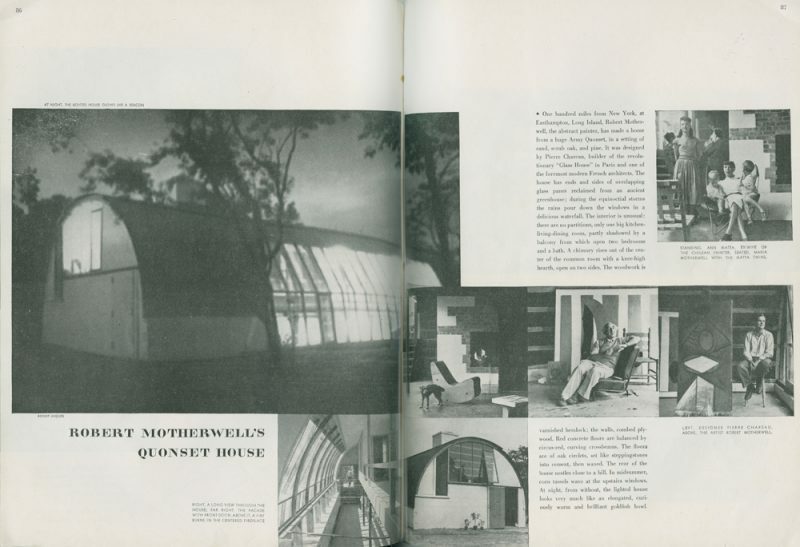 The Motherwell home and studio were built using surplus Quonset huts and utilized low cost materials like an industrial greenhouse window; concrete blocks for the retaining walls; plywood; and brick and oak logs for the floor. The house gained some notoriety when it was photographed for Harper’s Bazaar in June of 1948. The photographs in the magazine show Chareau and the Motherwells as well as Anne Clark, and her young twin sons (including a young Gordon Matta-Clark) in the different rooms around the house. The Chareaus were early collectors of Motherwell’s work and owned several of his paintings and drawings, including Line Figure in Beige and Mauve, 1946 and Constructed Figures, 1944 both of which are on display at the Jewish Museum until March 26. 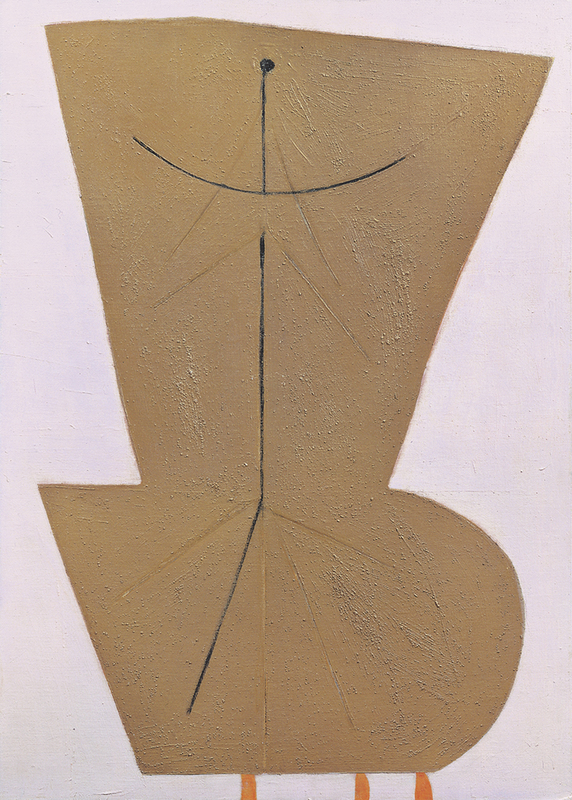 “Line Figure in Beige and Mauve”, 1946. Oil and sand on canvas board, 30 x 22 in. © Dedalus Foundation, Inc./Licensed by VAGA. New York, NY. “Constructed Figures,” 1944. Ink on paper, 11 1/8 x 14 1/2 in. To learn more about Robert Motherwell’s relationship with Pierre Chareau make sure to visit the Jewish Museum before March 26. More information about the exhibition can be found here. 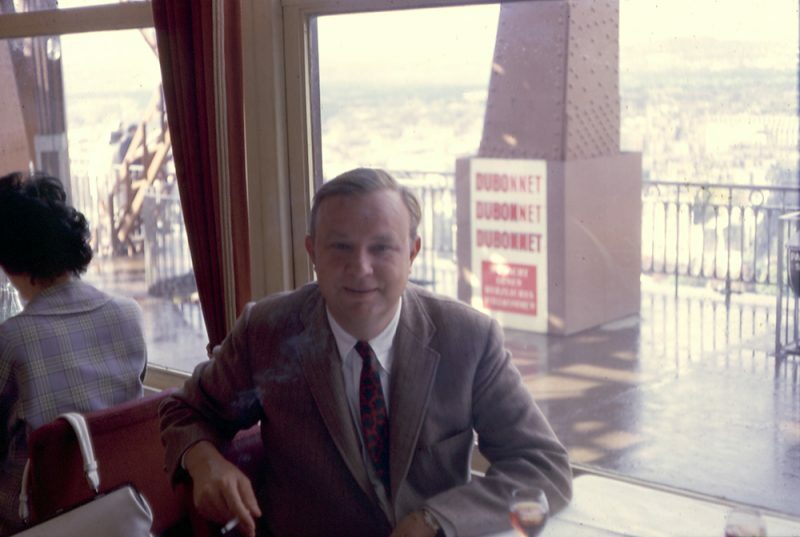 The Dedalus Foundation is home to thousands of Motherwell’s professional and personal papers and photographs, including correspondence, datebooks, and interviews. The material in the archives not only allows us to reconstruct the artist’s daily activities and studio practice, but it also gives us a clear picture of Motherwell as an individual. The images in the archives span Motherwell’s career and contain everything from his old lecture slides to photographs of works and exhibitions. Some of the most enlightening and engaging images are of Motherwell’s personal life and his travels, especially during the 1960s when he was married to the painter Helen Frankenthaler. 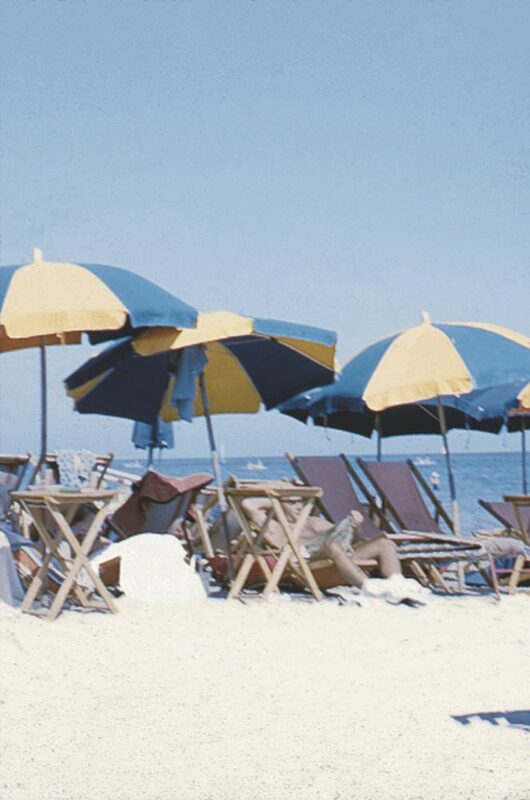 Motherwell’s personal photographs sometimes shed light on his creative process. 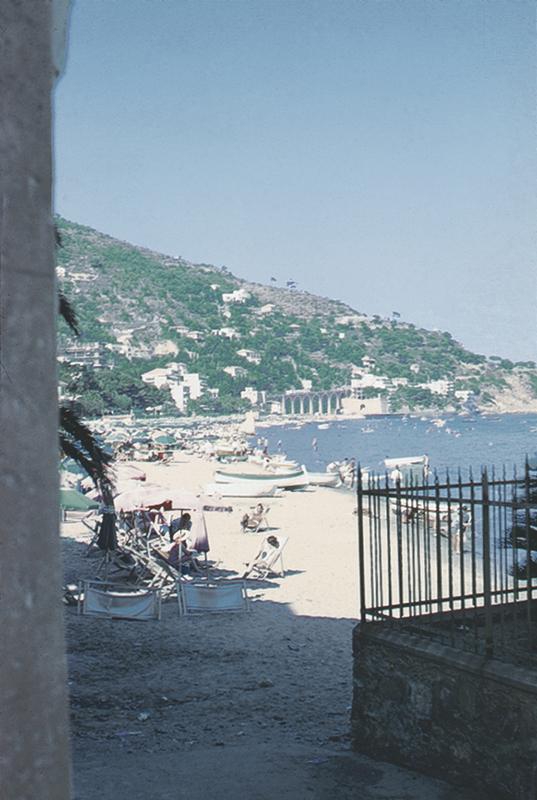 Photographs taken by Motherwell and Frankenthaler in Alassio, Italy illustrate how Motherwell incorporated the shapes of the landscape and the color of the beach umbrellas into Summertime in Italy No. 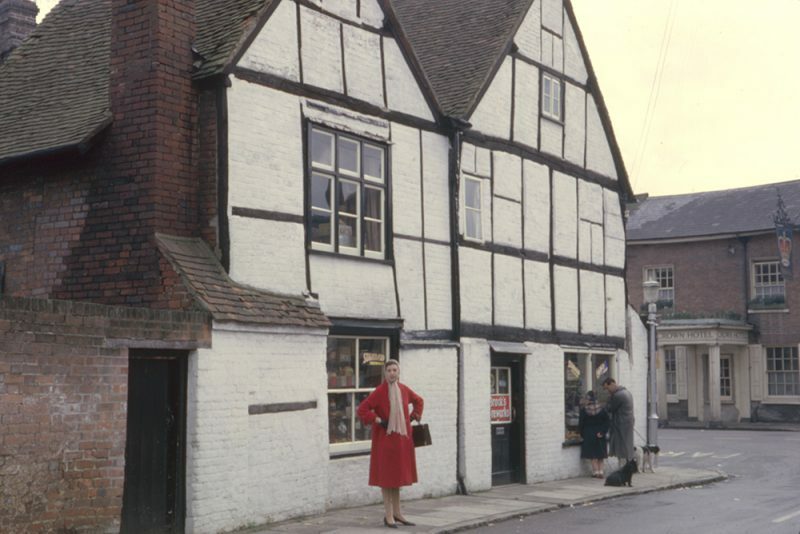 3, 1960. 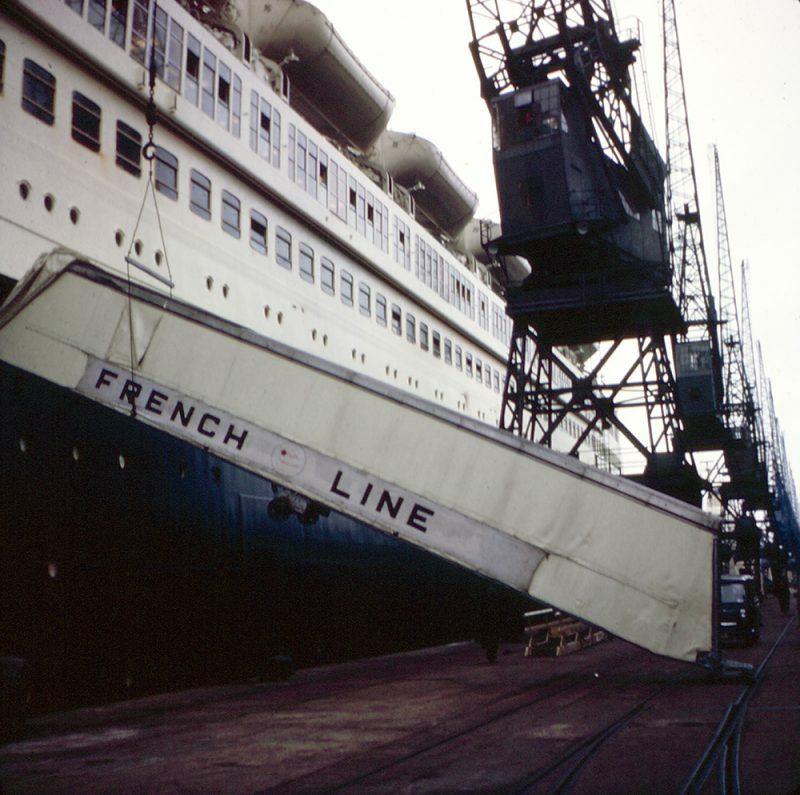 Travel served as an inspiration for a number Motherwell’s works throughout his career, including the collage The French Line, 1960. 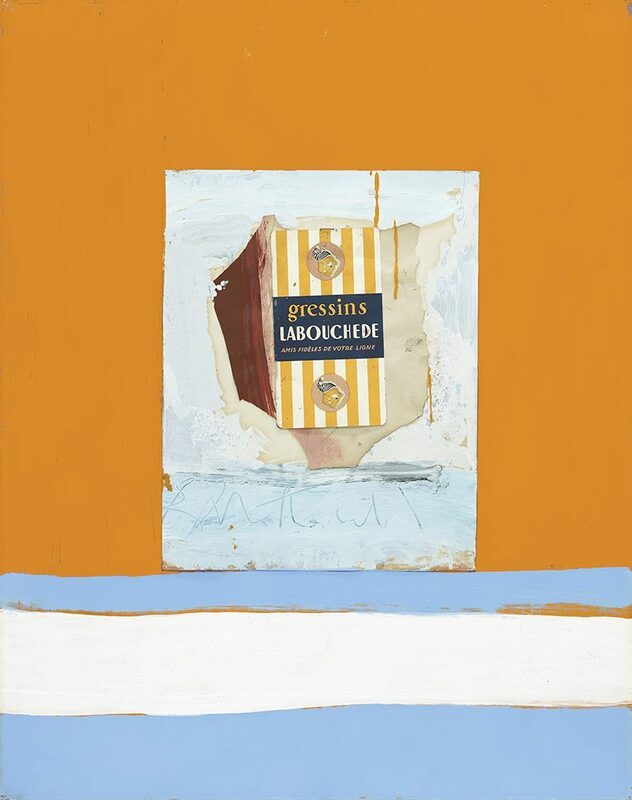 Motherwell meant the title to be a multiple pun, which he explained in the catalogue for his 1963 Smith College exhibition: “The French advertisement is from a box of diet-crackers (the French always talk about one’s line in relation to weight); the line of the Riviera coast is visible; it is one of the most ‘French’ pictures I have ever painted (and in this sense follows the ‘French Line’ in painting); I travelled on the French line to Europe to paint it.” There is a photograph of a French Line ship in the slides from Motherwell and Frankenthaler’s trip, perhaps meant to commemorate the literal inspiration for the collage’s title. The Dedalus Foundation archives are currently closed to the public, but research requests may still be directed to archives@dedalusfoundation.org. 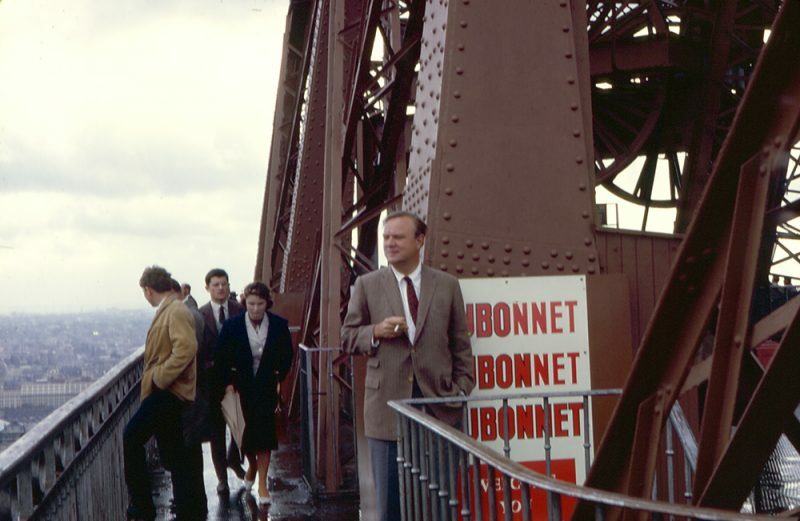 To learn more about the Foundation’s archives, or to view digitized materials, please click here.